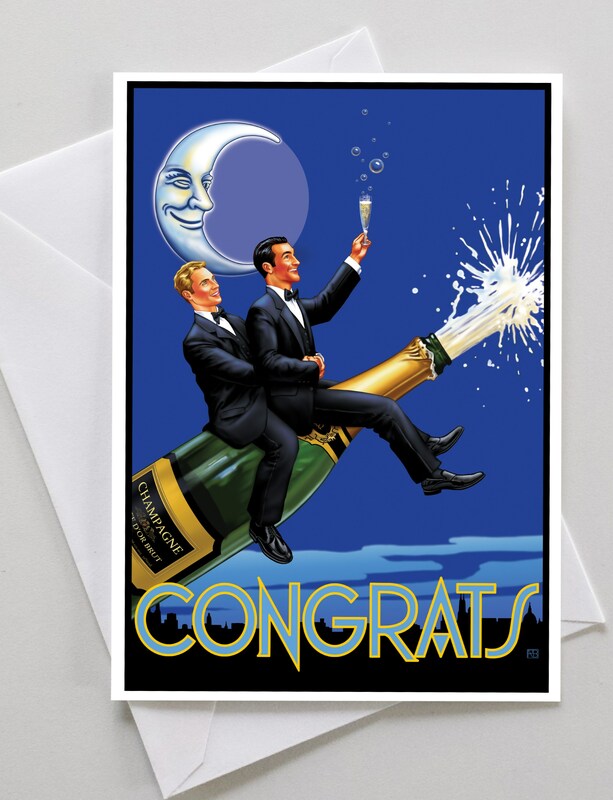 Our etsy shop (located at https://www.etsy.com/shop/QCardStudios) features the following greeting cards. Please have a look! 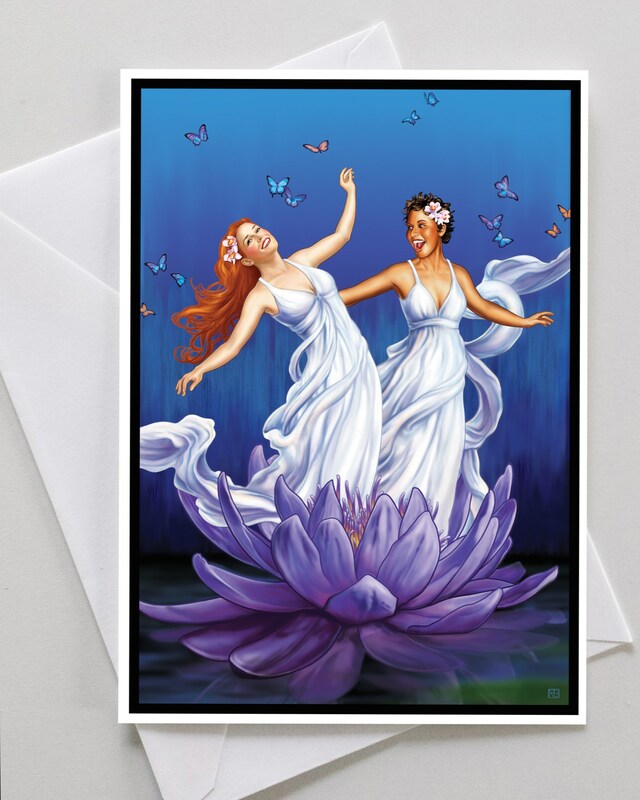 Q Card Studios is a Seattle-based company offering a fresh and elegant selection of Gay & Lesbian greeting cards. 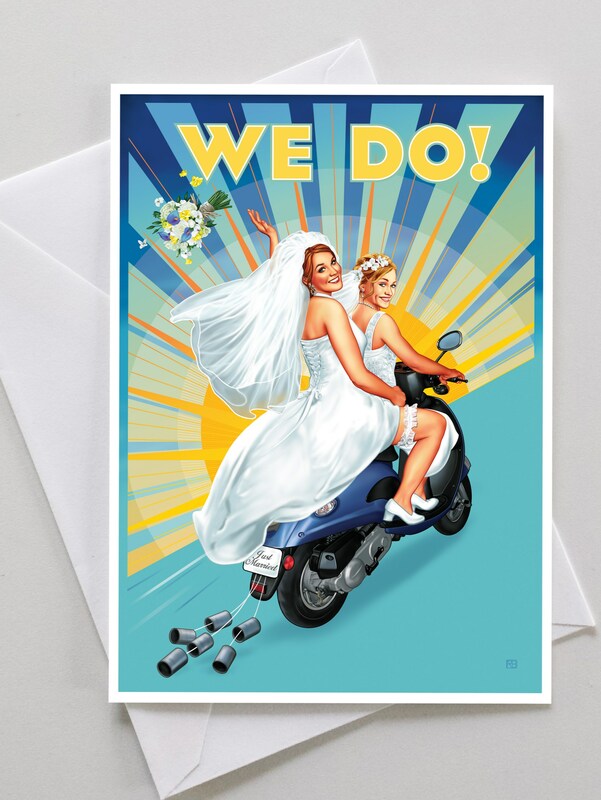 We offer cards for weddings, engagements, congratulations, or just to say hello. All of our cards are blank inside. They are produced locally here in Seattle, WA. 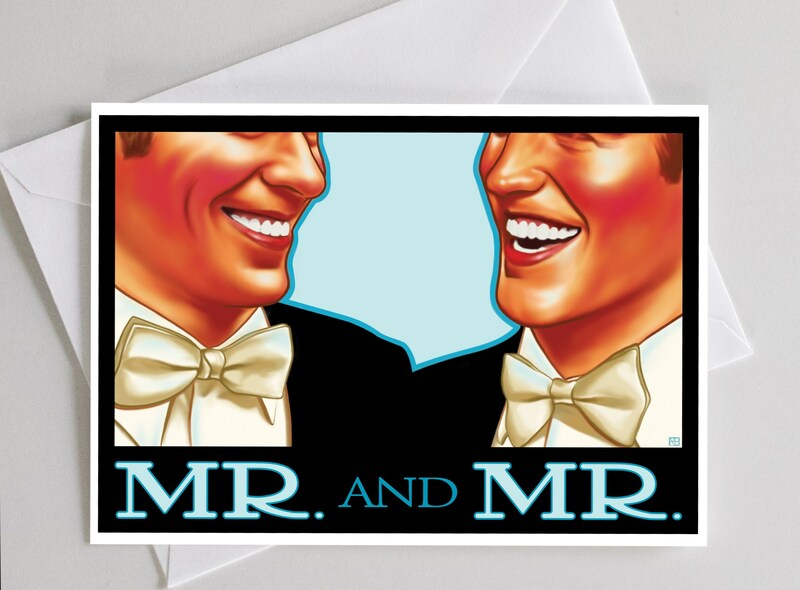 Our cards take their inspiration from vintage artwork, offering a modern interpretation of classic designs, with a gay twist. This our blog, where we will talk about what inspires us and preview new designs. We are in the process of creating a web site, but for now please visit our etsy store at etsy.com/shop/QCardStudios. You may also contact us for more information at sales [ at ] qcardstudios [ dot ] com.